Notepad++ is a free source code editor and Notepad replacement that supports several languages. Running in the MS Windows environment, its use is governed by GPL License. For one reason or another, the process for sorting text within Notepad++ seems to elude me. 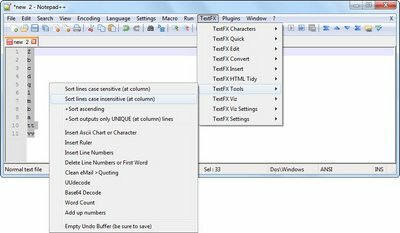 Some text editors have a plugin that is easy to identify, well so does Notepad++, when you know where to look. Here is a quick that works well. In a few ‘easy’ steps, text can be sorted either descending or ascending. 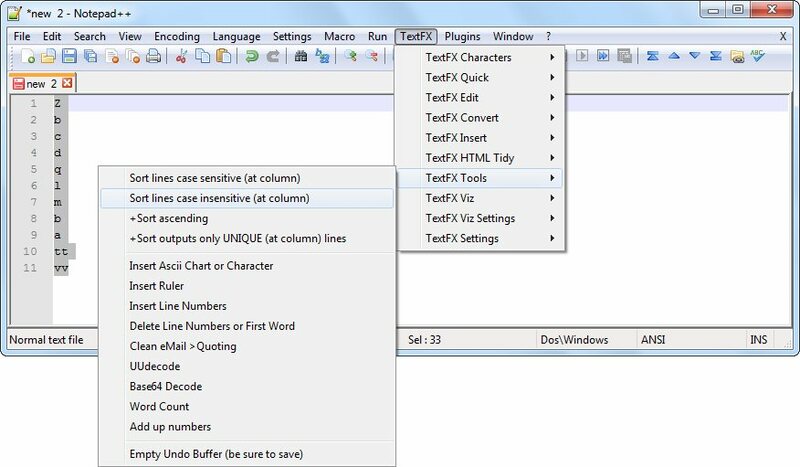 Open or create a text file. Below is an example of 11 lines with random text. The result, is a descending order of text. The result, is an ascending order of text.